It feels harder and harder every pregnancy to wrap my mind around the reality of this new person. 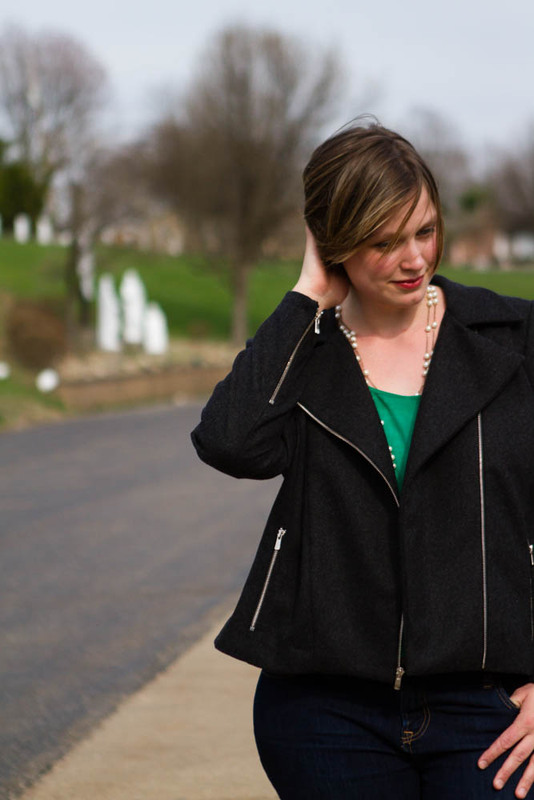 With my first, the concept of “I am having a baby” was such a new theoretical idea, the connection I felt to the unborn life moving within me felt personal and intimate. Now, having six other little people talking to me, wrapping their small arms around my neck, and demanding sandwiches and bottles of milk, that this yet-unknown-person feels distant in comparison, even if I think about her every hour of the day, and I feel her every kick and movement. This distant feeling during past pregnancies made me feel guilty and I would worry that I wouldn’t love the next child as much as the ones I had. This has never been the case though. I have fallen deeply in love with each child every time. Perhaps even more easily than I had before, because mothering is no longer such a new and scary experience. Not that I don’t need to put forth effort for this child! That is where this blog post comes in. 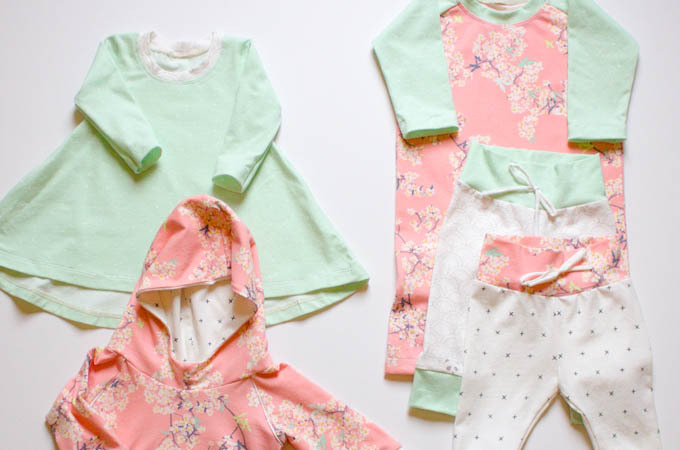 There is something special about the projects an expecting mother takes on – whether it is designing a gorgeous nursery, or assembling a darling wardrobe full of clothes. I have taken to thinking of it as “heart nesting”, because they are more than just practical preparations. They are one way we prepare our hearts to receive the person. It is not a surprise then, that I wanted to sew this little girl something new. The concrete acts of selecting soft fine fabrics, cutting out tiny little pieces, and holding the finished garment in my hands brought home the reality of this baby, not just as a theory, but as a unique individual anticipated with joy by her family. And, oh, how excited I am to meet her in just 8 more weeks! Disclosure: This post contains affiliate links. See more in my Blog Disclosure Policy. 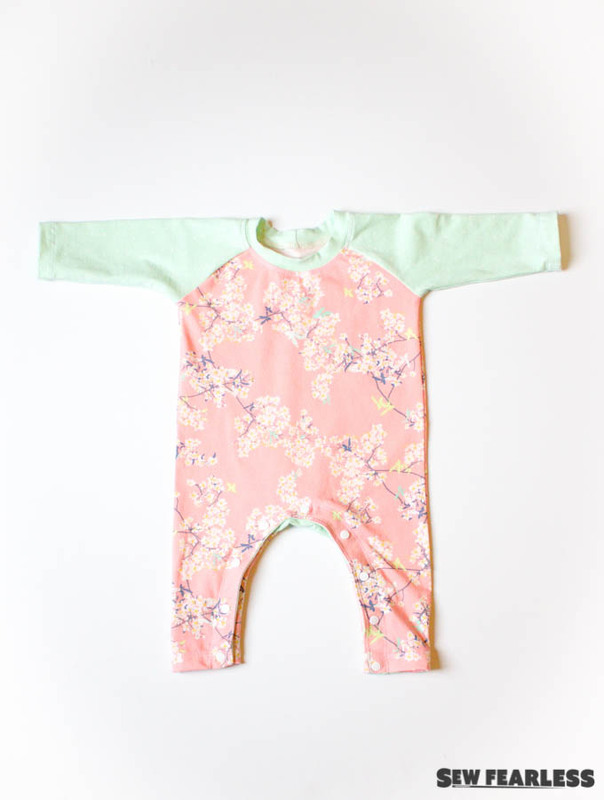 Find more baby-related sewing inspiration by clicking here! Warms up my heart Jodi! Beautiful! She’s going to be so comfy, and soooooooo loved. Gorgeous!! This makes me wish I’d started sewing back when I was pregnant with Louis. 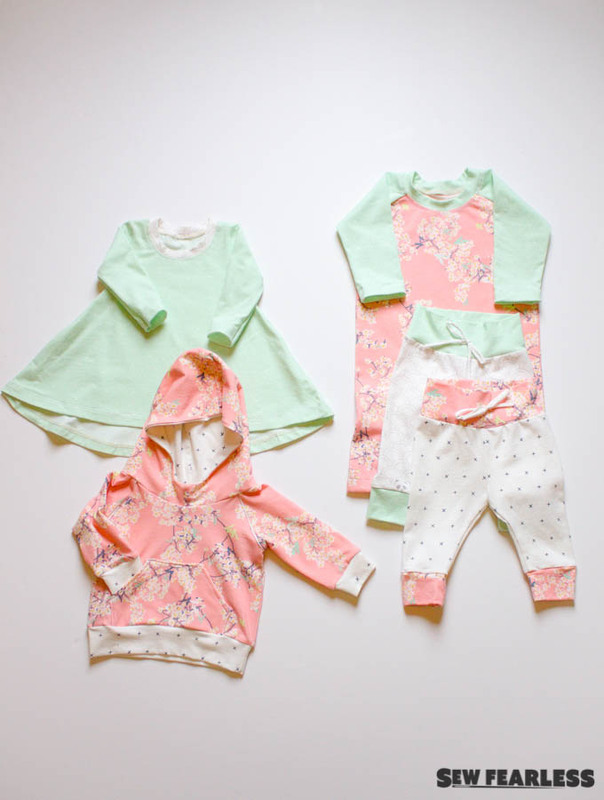 The teeny baby clothes are so sweet! I love this post so, so much!! And I love how you refer to it as “heart nesting” because that really IS what is happening, isn’t it! Such a lucky little girl to have a special wardrobe waiting for her arrival. These are just darling! I love the term ‘heart nesting’… and I loved being able to sew as a way of doing that for some of my babies! Wow, pure gorgeousness! Great beautiful job. Lovely sentiments.